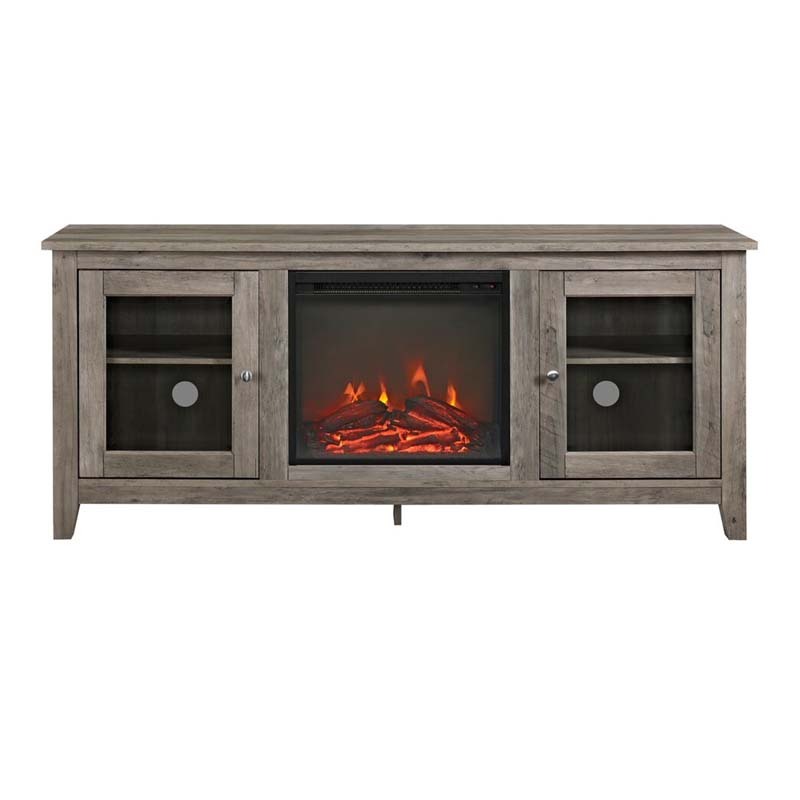 More on the Walker Edison Media TV Stand with Electric Fireplace (Grey) W58FP4DWGW below. 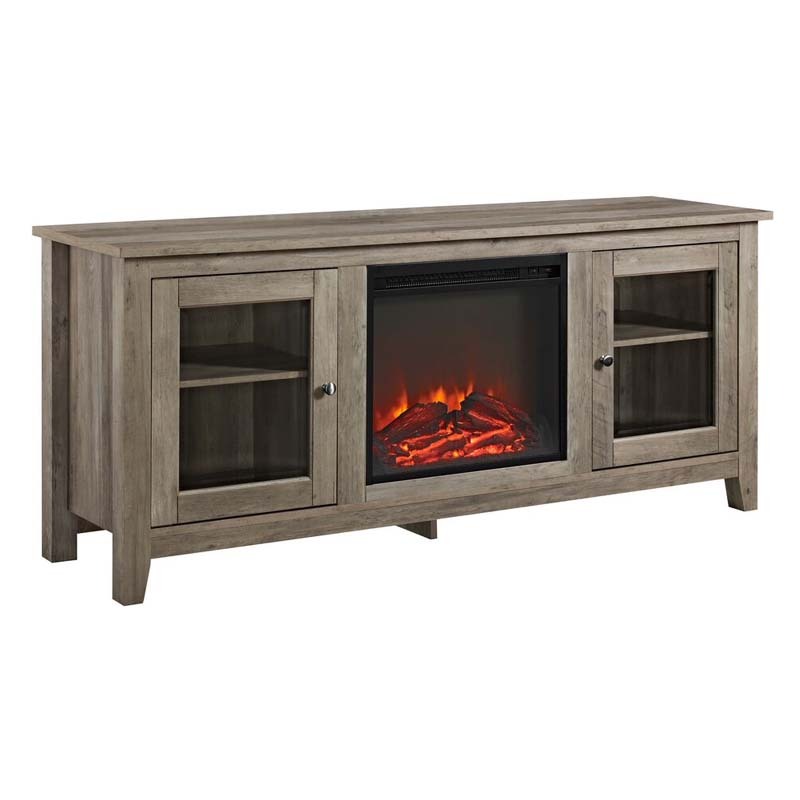 Create a warm, entertaining space in any room of your home with this wood media stand with electric fireplace. Crafted from high-grade MDF with a durable laminate finish to accommodate most flat panel TVs up to 60 inches. 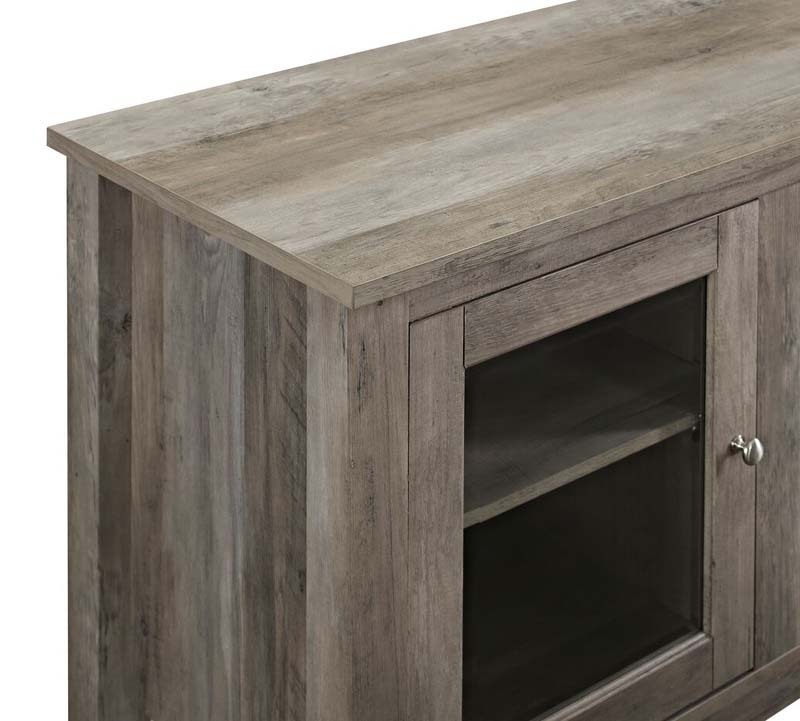 Features adjustable shelving behind two side cabinets to fit your components and a cable management system. Installation requires no technician, simply plug into standard household outlet and no venting required. Solid and sturdy stand supports most flat panel TVs up to 60 inches and 250 lbs. 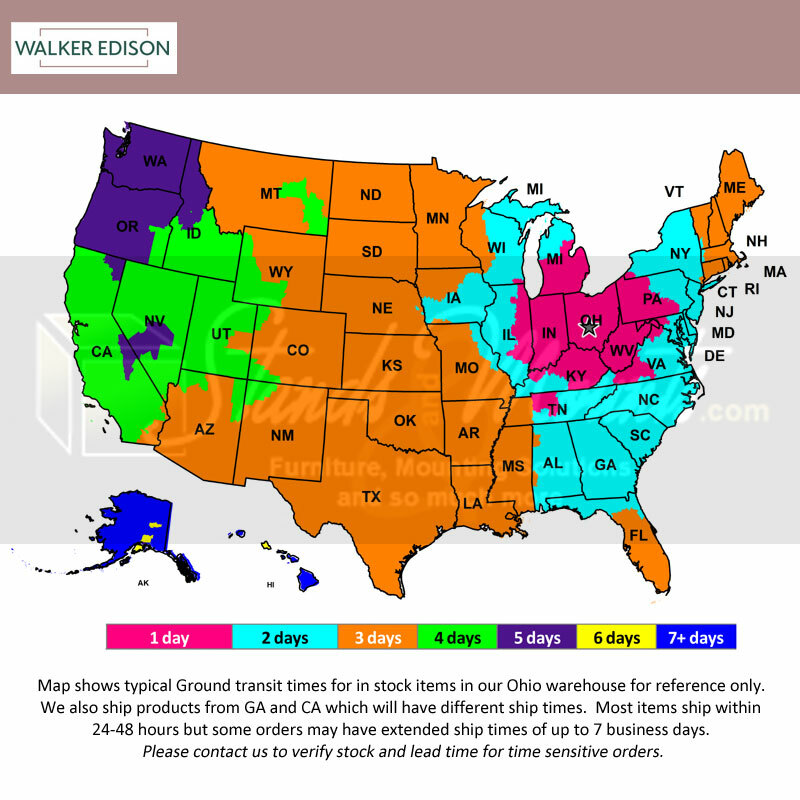 Available in a wide variety of finishes, see related products below. 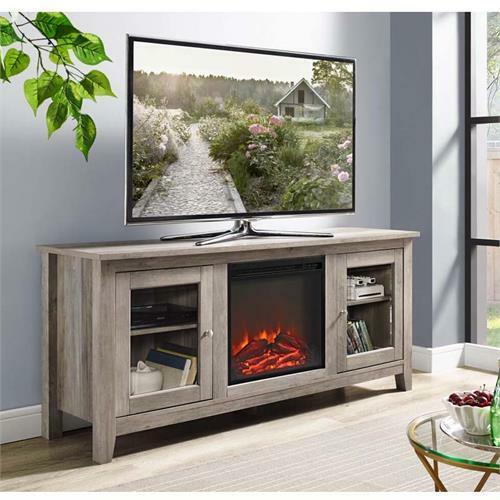 Flat screen televisions up to 60 inches and 250 pounds.